Welcome to Wrestling School 101. You can be a professional wrestler today in just a few easy steps. Don’t believe me? You have all the qualities. You don’t have to weigh 300 pounds and be in exquisite shape. You can be a wrestler right from the comfort of your couch. And who wouldn’t want to be? Becoming a professional wrestler is an honor. 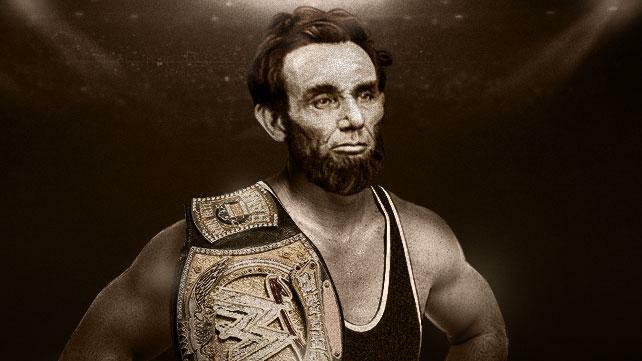 Abraham Lincoln wrestled for fun back in his youth. It’s biblical to0 (we’re getting to that). It’s quite simple: if you want to be a wrestler, all you have to do is know how to talk. “Cutting a promo” – delivering an interview to promote an upcoming match – is the essential element of becoming a great professional wrestler. So often the promo is not just preparation for the battle, it is as important as the battle itself. Randy Savage was one of the greatest talkers of all time. Sure, he was an incredible athlete inside and outside the ring (he nearly played professional baseball), but he became a legend because of the way he could talk people into the building. The same can be said of Jacob, the world’s first documented wrestler. When Jacob wrestled with God in Genesis 32 the struggle was not a purely physical one. Jacob God with his words. He screamed. He argued. He cried out in agony. He became a legend because of the way he talked to God. Jacob was determined to be heard. He fought through an injury like any great wrestler would. God’s words stung Jacob, but he got back up and went right back at it with God. All wrestlers know you have to finish the match no matter how badly you’re injured. So much of the work in wrestling is done outside the ring. Sure, the outcome of the match is predetermined. But it’s what happens in the ring along the way which makes the story worthwhile. I’ve never understood the people who complain about wrestling being “fake”. Of course it’s fake. All great drama and entertainment is scripted. The beauty is not in having an unpredictable outcome. The beauty is in the performance. Jacob knew his victory was predetermined. He had faith in God. He knew God would bless him. He still had to step into the ring and perform the match to claim the victory. When you come into the ring and pray with God, you know the outcome as well. If you believe, you are blessed. You are God’s beloved child. You know He will answer your prayer. You know your salvation is secure. The work you do from bell to bell still counts though. As the old saying goes, prayer is not preparation for the battle – it is the battle. If you are a believer, you are a wrestler. You are doing battle in faith. When you pray, you are wrestling with God. You are stepping into the ring. You are going one on one with the Great One. And like with any great wrestling match, the outcome is fixed. God has promised you victory. Simply by stepping into the ring with God, you have already won the battle. Prevailing in prayer, we shall prevail against our enemies. Even though we know we will win, we still have to perform the action in the ring to take hold of the victory. Our victory may be predetermined, but it is in between the ropes where we become champions. What have you been wrestling with God about lately?